We love to fabricate anything that can be imagined. We are a full service, design to delivery custom metal fabrication shop. We can take on some of the toughest jobs and we are able to move thru them efficiently and with the highest quality. We offer personal service combined with expert craftsmanship and that shows in our products. Layman Fabrication, Inc. is driven to be the premier custom metal fabrication source by having passionate, accountable team members. This enables us to provide quality, dependable, and professional service on time, every time. 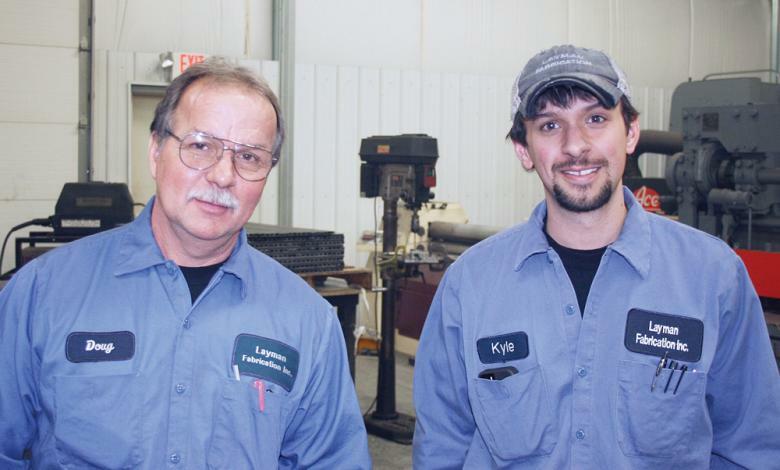 Check out Layman Fabrication, Inc.
featured in The Fabricator magazine! © 2016 Layman Fabrication, Inc. All Rights Reserved. Designed by Midwest Computer Solutions, Inc.